2011 | HD Video, glazed ceramics | 4'00"
In Merely a part of life the artist attempts to absolve himself from the responsibility of forgetting his nephew's birthday. He comes up with the idea that some things are just bound to happen. That some things are unstoppable and therefor merely a part of life. In the video Beckers realizes that the fact he forgot about his nephew's birthday party is also one of these inevitable things. 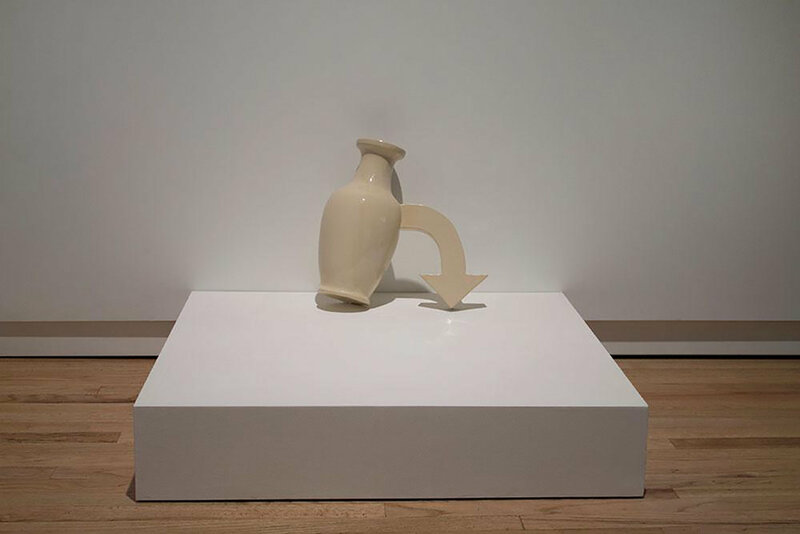 Just as inevitable as the destiny-fulfilling vases falling to the floor. An inevitability that however does not absolve the artist's brother from cleaning up the mess.